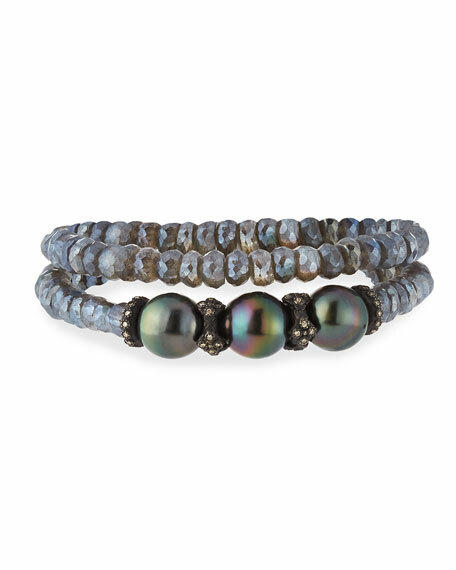 Armenta double-wrap bracelet from the Old World Midnight Collection, may also be worn as choker necklace. 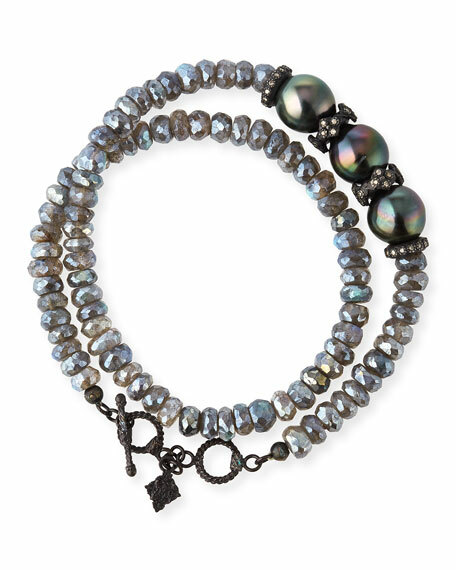 Featuring all-black beads: mystic labradorite rondelles and three naturally black cultured Tahitian pearls. Rondelle spacers with pave champagne diamond detail, 0.36 total carat weight.